Do your parents get on your nerves? Most likely they are manipulating you. In case you haven’t notice, keep calm and look for the pattern of their emotional manipulation signs. Once you find it, you will acknowledge their manipulation. That doesn’t mean that will end it right away. However, by discovering their emotional manipulation signs, you now know that your parents are causing you emotional stress. It is time to do something about it. On this article, we will tell you how to deal with manipulative parents. It will help you to find peace and detach their destructive behavior from your life. · Are they always the victims? · Is their world one misery after another? 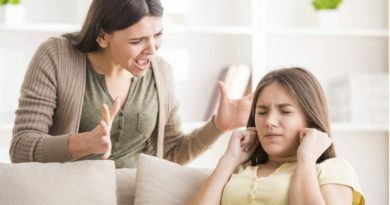 · Are your parents blaming you constantly for any situation? · Are they conditioning love to do things they want you to do? · Are your parents highlighting you are (or are not) sensitive, with a sense of humor, or something else on a regular basis? · Are they always telling you what to do or who you should see? · Are your parents discouraging you from doing things all the time? · Are your parents avoiding personal responsibilities to avoid accusations? All these questions refer to the typical emotional manipulation signs. If you answered yes to two or more of these questions, then you are being manipulated. It is time to take some action in the matter. Your stress is not caused by you, but by your manipulative parents. But before we go any further, it is important to highlight your responsibility on the situation. To discover emotional manipulation signs doesn’t mean you are all right. It is just that your parents have not managed to show you the guidance they are meaning. · Is your behavior being destructive (to you or to others)? · Are your friends destructive (to you or to others)? · Are you entirely independent? · Do you know where you are going in life? · Are you acting rebel just to piss off your parents? Again, if you have answered yes to one or more of these questions, then you must address those issues first. Dealing with your parent’s emotional manipulation signs will do no good if you are stuck with any of these problems. Once you’ve solved them, then it is time to take your destiny in your hands. Now you can deal with your manipulative parents. Now that you are fully prepared to deal with your manipulative parents, you must know that you might need to put some distance between you. Don’t do it right away, but it might be the last resource. Be ready to do it, and start now. To give you some guidance, we have prepared a step-by-step guide to follow. You don’t need to go through all steps. Just start with step 1 and if it doesn’t work, then move on to the next step. Hopefully, you can eradicate the emotional manipulation signs from step one. That way you will not have to get to more drastically actions. 1. Talk to your parents about their manipulative behavior. Do this while you are both calmed and away from any stressful situation. If you are lucky, they are not aware of it, and raising their awareness will help to improve your relationship. 2. Ask your parents to go to therapy with you. A professional therapist can help to improve your relationships and eliminate the emotional manipulation signs. 3. Set clear boundaries and stick to them. That might create more friction at first, but once your parents get used to them, things will go better. Give it one to three months on this one. If it doesn’t work, then move on to the next step. 4. Put some distance between you. You must be ready to move out of your parent’s house if you are still living with them. If your parents keep on with their manipulating behavior increase the distance until it ceases. You may restore contact after some time. Confidence and a healthy self-esteem are key factors you must have to deal with these steps. If you feel you are not ready, it will all be counterproductive. First, you must gain confidence. Getting professional help in such cases is an excellent choice to improve yourself. It all starts with you, and then you can help others. Are you afraid to tell others what you really have in your mind?. Do you just keep quiet even if in your mind, you are already opposing what others are saying?. Then you are lacking assertiveness.